This is a facinating adventure story about a little girl, named Kim, her brother, Steve and Teddy Blue Bear, their shaggy dog. A wild chase after a runaway soccer ball leads them to the discovery of a mystical "Blue Kingdom" located at the South Pole. 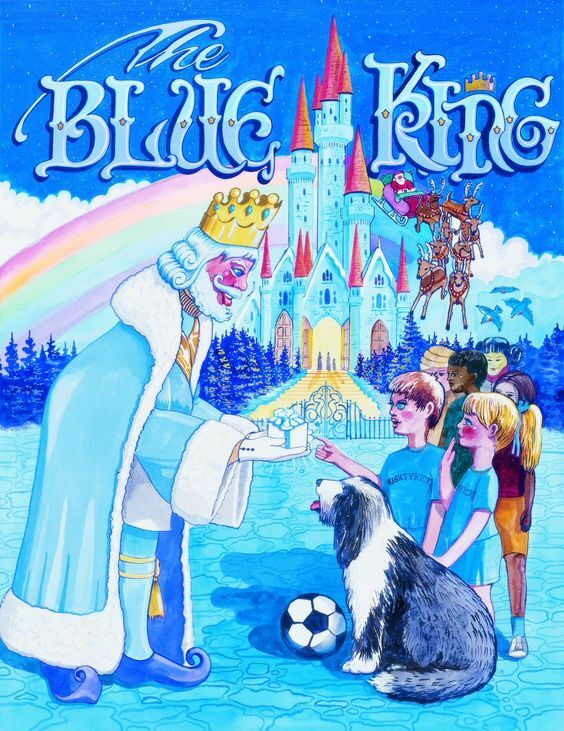 It turns out that the Blue King is the cousin of Saint Nicholas, who as we all know , resides at the North Pole. The Blue King and Santa Claus communicate via "C-mail" (sea mail) with secret messages. The heroine Kim, answers a mysterious riddle that results in the establishment of a humanitarian mission to promote Friendship, Understanding and Niceness (FUN) among all children (and grown-ups) throughout the World. Kim, Steve & Teddybear hide, but are captured by the King's guards. The Blue King is thrilled to learn the answer to the "C-mail" riddle and he can now open Santas' message capsule delivered by Cecelia the seal. Print out a Free 'E" book copy! Copyright © 2017 Blue King.net - All Rights Reserved.